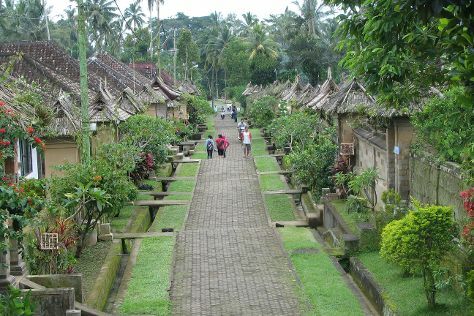 Until 1907, Bangli formed one of the nine Balinese kingdoms. Terraced fields and coffee plantations pepper the jungle-covered hills, along with the occasional waterfall. The main Bangli attractions, aside from the lush scenery itself, consist of its many Hindu and Buddhist temples--some a thousand years old--and several tourist villages of traditional dwellings. Bangli is in Bali. Plan your trip to Bangli and other Indonesia destinations using our handy Indonesia trip itinerary maker website .